I’m finally reading Tim Lucas’s magisterial Mario Bava: All the Colors of the Dark. I can’t fault the scholarship — few filmmakers are lucky enough to get books as exhaustive and considered and respectful as this. It’s all the sweeter since Bava was such an underrated artisan in his lifetime. I wouldn’t dare to contest Lucas’ unparalleled expertise in this subject, but one little bit where I think he’s not quite right gave me an idea for today’s piece. The book not only examines Bava’s directorial legacy, it probes into his work as cinematographer, and also provides as full an account of the career of his father, Eugenio Bava, cinematographer and visual effects artist of the silent era. 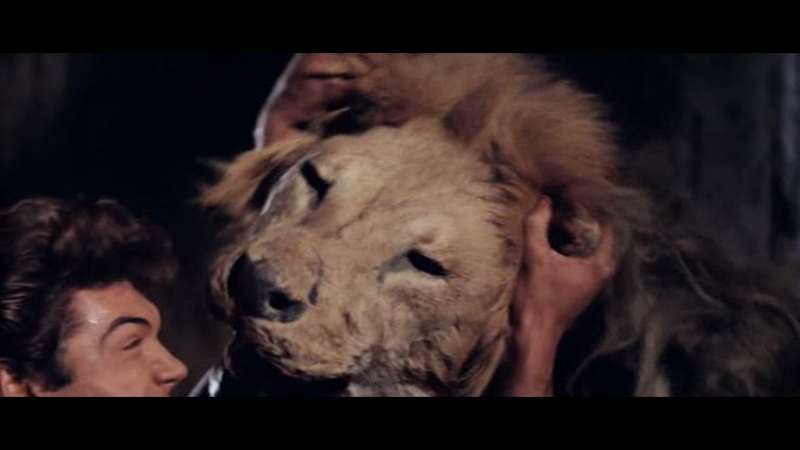 Lucas examines the legendary CABIRIA, whose effects are jointly ascribed to Bava Snr. and the great Segundo de Chomon. Chomon usually gets most of the credit, and Lucas thinks this is probably unfair — he claims Chomon’s effects “were usually rooted in the principles of stop-motion animation.” In fact, I think it’s going to be impossible to make any calls on who did what, other than that we are told Bava Snr. built the model Vesuvius. Chomon’s imitations of Georges Melies’ style saw him performing every kind of trick effect known to the age, to which he added the innovation of stop motion, cunningly integrated into live action sequences. I think it’s fair to say than any of the effects in CABIRIA might have been the work of either man. Lucas goes on to focus on one spectacular shot of the erupting volcano, a composite in which the bubbling miniature shares screen space with a line of fleeing extras and sheep (do the sheep know they’re fleeing? Perhaps they’re just walking). Lucas notes that smoke pots in the foreground, placed near the extras, waft fumes up across the model volcano, which makes him think the shot could not have been achieved as a matte effect. He deduces that the volcano was filmed through a sheet of angled glass, one corner of which was brightly lit to reflect the extras. I would suggest that the shot is in fact a pure double exposure, with no mattes. The volcano is dark apart from the bright lava. The shot of the extras is also dark apart from the extras, sheep, and smoke. Double exposed on the same negative, the bright parts register and the black parts stay black. Thus the white smoke can drift up through the frame, appearing transparently over both the darkness and the bubbling Bava-lava. 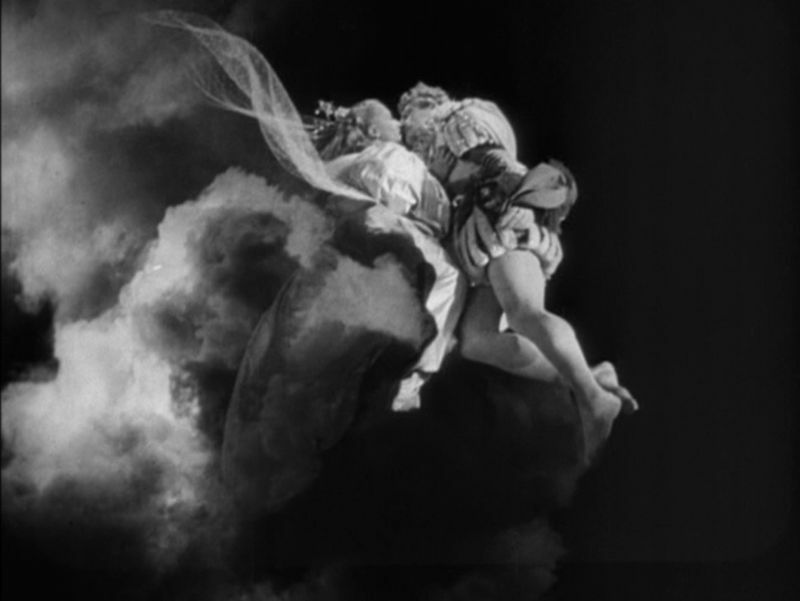 More examples of this effect: at the end of Cocteau’s LA BELLE ET LA BETE, two characters fly off into the sky. The highlights on their figures cut through the superimposed cloudscape, but the shadow areas become transparent, phantasmal, in a way I don’t think the filmmakers intended; and in CITIZEN KANE, Welles crossfades slowly into flashback, with Joseph Cotten remaining solidly visible long after his background has disappeared, a trick achieved by fading the lighting down on the set while keeping Cotten brightly lit — no matte was needed, and had Cotten puffed on one of those cigars he was talking about, the smoke could have drifted across the incoming scenery, provided a sidelight picked it out of the darkness. 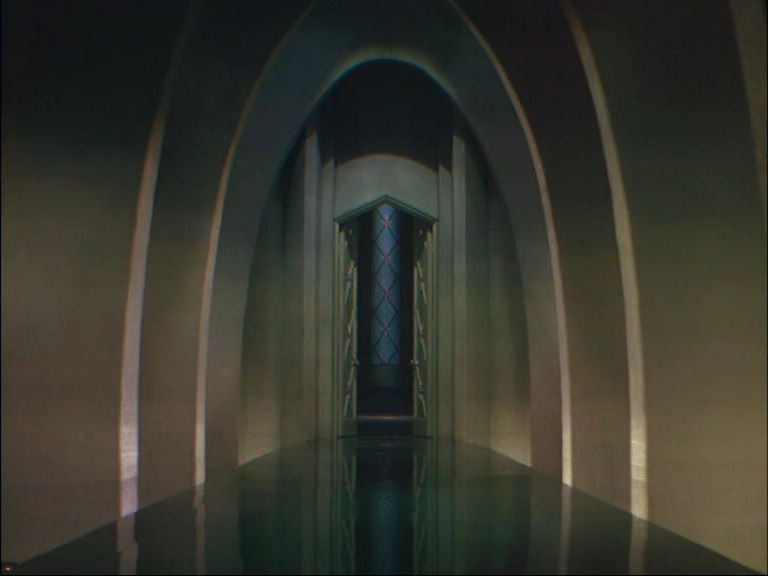 Lucas’s reflection trick, a kind of Pepper’s Ghost illusion, would have anticipated the more refined Schufftan effect by more than a decade (Eugen Schüfftan used mirrors to combine miniatures with full-scale action within the same, live shot on METROPOLIS) and Lucas suggests that Mario Bava resented this claiming of an invention his father had anticipated, and makes his disapproval known by including a character called Schüftan in his movie KILL, BABY, KILL. 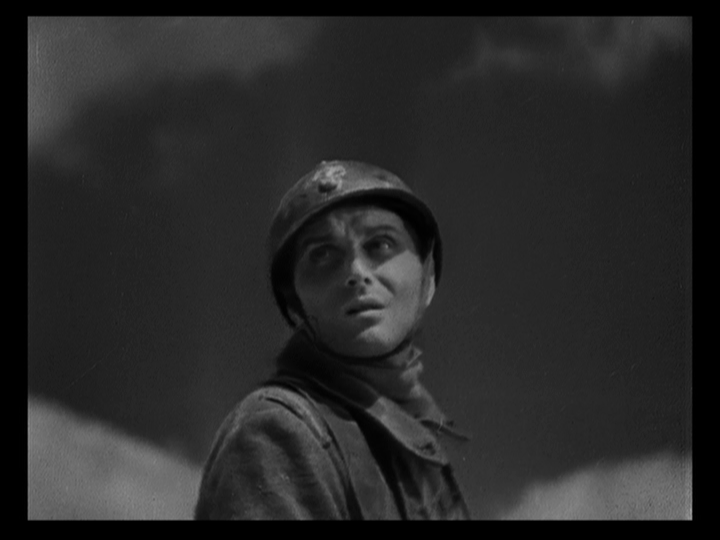 Since I don’t believe Eugenio anticipated Eugen in this technique, I think we can say that the use of the name Schüftan for the film’s heroine is more of an affectionate tribute to a great cinematographer, effects artist and a near-namesake of his dad. Quibbles aside, I repeat: this is an amazing book. On the 4th of July I was in Bologna — this is what I saw. Wonderful. It makes you realise that, for all their national pride and aloofness, the French not-so-secretly still regard American is the mainspring of all modernity and the source of all coolness. The doubly-casual Tom Bob easily trumps our intrepid plodder Juve of the Sûreté, just by virtue of that insouciant prefix Americain. Juve is honest, fearless and dogged, but he is inescapably, gallic and therefor mundane. A fantastic inversion of the way we look towards France as a source of glamour and genius. 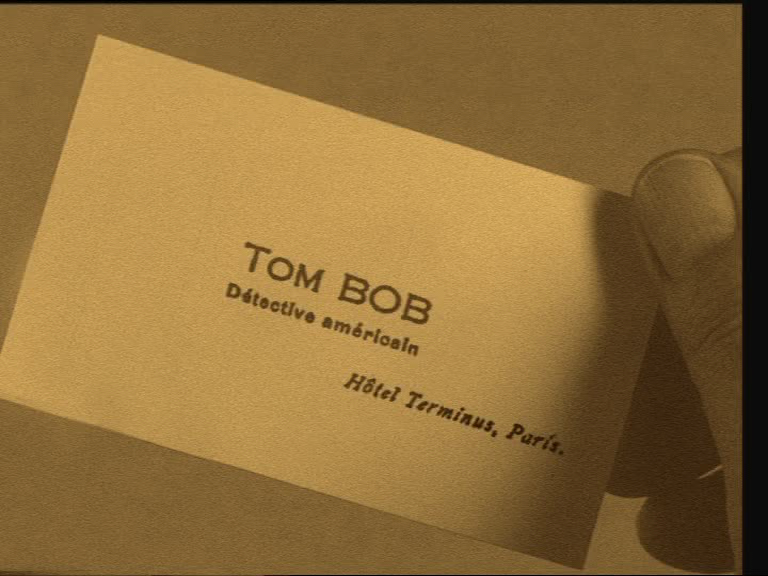 Neil Brand, who provided the piano accompaniment, confessed afterwards that he had initially regarded FANTOMAS and its serial kin as “meaningless running about,” which is indeed the trap a lot of serials fall into. Surrealism, elegance, and a blatant admiration for his evil characters helps Fieulliade escape this. I should have crossed to the next auditorium and seen the ten-minute fragment of Sternberg’s THE CASE OF LENA SMITH but I think I craved sunshine and coffee and conversation, so my next show was at 11.30, a discussion of Pathe’s restoration of WOODEN CROSSES, which I felt duty-bound to attend since I’d collaborated on a film about the movie’s producer, after all. It was interesting stuff, including as it did the revelation that the new version Pathe are releasing is mostly derived from a whole other negative, shot by a camera standing next to the one that filmed the previous release. It’s the same action and mostly the same takes, but technically speaking it’s a different film… Fans of the previous release need not worry, though, it carries the same authority and charge, as I confirmed later the same day. Staying in my seat, I was blown away by WOODEN CROSSES all over again, which packs a severe wallop. The final barrages, and the protracted bleeding away of life at the end, left the audience drained, which is the only explanation I can think of for the fact that rather than staggering outside to inhale the evening air, I stayed where I was and saw MARRIAGE: ITALIAN STYLE, which was the perfect tonic. 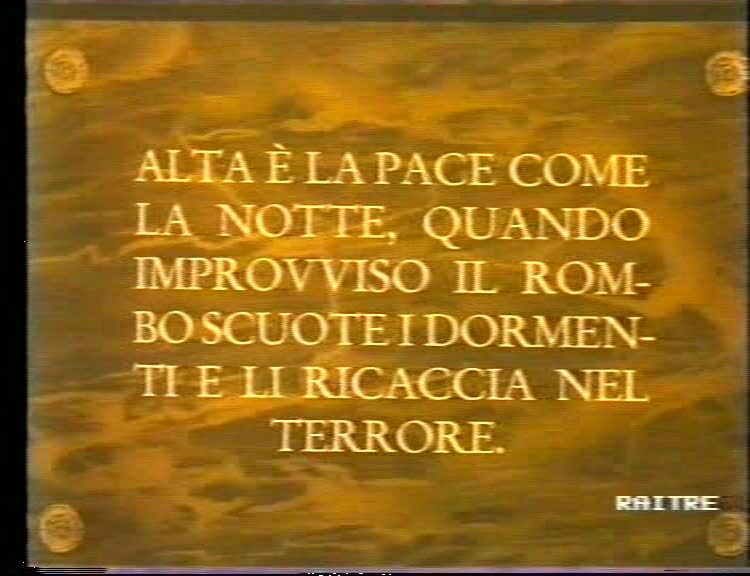 No falling asleep possible in this one (shouty Italians; genius choreography of actors and camera). Having revelled in De Sica’s acting the day before, I was favourably inclined to see more of his directing. That title had always put me off seeing the film before, which is silly — it’s perfect, and rather ironic. Maybe it’s the various movies that riffed on it that cheapened it. After all, GHOSTS, ITALIAN STYLE is a stupid name for a film. You’ll laugh, you’ll cry, you’ll wonder at the opening out of the source play with extensive flashbacks, and you’ll marvel at how Marcello Mastroianni manages to make a character who does such loathsome things seem somehow attractive enough to spend time with and laugh at and even feel sorry for. Loren, of course, is magnificent, even in a series of sometimes unfortunate wigs. De Sica’s daughter introduced the movie, and she has her father’s smile. I think I must have had a really good dinner after than, because I don’t seem to have seen anything else that day. It would have been hard to top De Sica at the height of his international entertainer period anyhow. I do wince a little at what I missed, but realistically I wouldn’t have made it through CABIRIA, in the opera house with live score, which didn’t finish until nearly midnight. That was one of the extra shows you have to pay for outwith the price of a pass, but get this, it was five euros. Proving my contention that Bologna offers the best value film festival on the planet. Like his Gothic spookfest THE GHOST, Riccardo Freda’s MACISTE IN HELL begins with a witch-burning in Scotland. 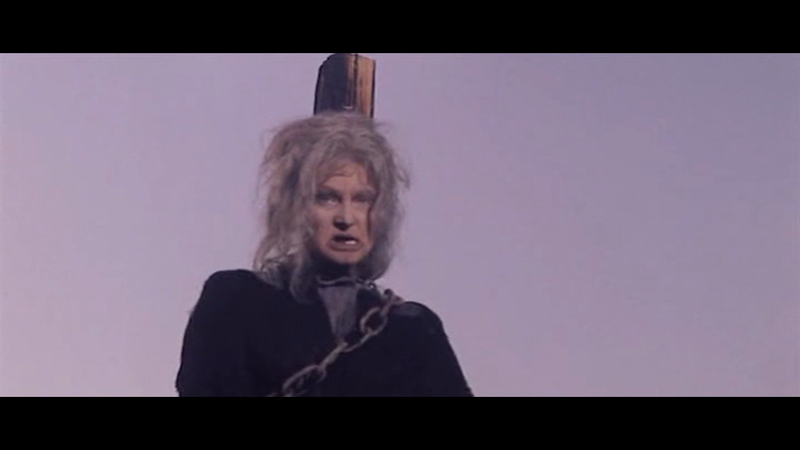 As is traditional in these affairs (dating back directly to MASK OF SATAN, but beyond that to, I guess, I MARRIED A WITCH) the witch curses the townspeople who are about to immolate her. A title tells us that a hundred years has passed, and suddenly an outbreak of madness is afflicting the women of “Loch Laird” — no reason why the curse should take a century to come into effect, except that it’s impressive yet inexpensive to say “100 years later” in a film of this kind. And then Maciste — former Carthaginian slave in CABIRIA (1914), but since then a fair-skinned righter-of-wrongs in a geographically diverse series of 60s peplums (pepla? what’s the plural here?) — rides up. Nobody questions the abrupt presence of a bodybuilder in a loincloth in 18th century Scotland, they don’t even ask him his name. They just seem to understand. That’s us Scots — an understanding people. Since we’re in Loch Laird, I’m going to start calling him MacChesty. He’s a sort of naked Lone Ranger figure, and he promptly descends into Hell (located beneath a local cursed tree) to sort things out. This involves MacChesty wrestling a lot of stuffed animals and quizzing Sisyphus and Prometheus, making inquiries, like Columbo in baby oil. Kirk Morris, in the lead, brings pecs and an Elvis sneer to the part, along with the towering screen magnetism of a polystyrene boulder. Most of the animal action involves intercutting fake snakes, eagles and lions with the real thing — the live, but very sleepy lion is actually a lioness in drag, adorned with a fake mane. Freda, who is absolute tops in my list of genius-or-idiot? filmmakers, boldly cuts back and forth between Kirk Morris with his frosted highlights earnestly throttling products of the taxidermist’s art in graphic close-up, to longshots where the animals are slightly more animate. Too animate — after MacChesty “kills” the lion, it can be seen contentedly blinking and flapping its ears. Freda is a filmmaker who loves special effects, but want us to appreciate just how “special” they are, by lingering upon them until their artifice becomes wholly transparent. See also the car crash at the start of A DOPPIA FACCIA, which quite unnecessarily rubs our noses in the substitution of a toy car for the real thing, and even jump-cuts a few tiny explosions in for good measure. “Audacious” doesn’t begin to describe it — and I truly don’t know if Freda is expressing his contempt for the material, or the audience, or a childlike love of magic tricks, or sheer helplessness in the face of a low budget (he began his career with expensive historical epics in the Mussolini era). But even more thrilling is the fight with Goliath. Goliath laughs at MacChesty, so MacChesty tosses a caber at him. Then we get a great, audiacious, forced-perspective fight between Goliath, a large-ish actor, and some kind of muscular child or jockey doubling for Kirk M.
All the tricks are bold and cunning, and all of them are immediately transparent — my favourite is this one, where Morris stands far enough behind Goliath so he’ll look smaller, and a pair of small plastic hands pretend to throttle the chucklesome titan. F Scott Fitzgerald said there are no second acts in American lives, but I reckon he was really talking about Italian muscle pics. 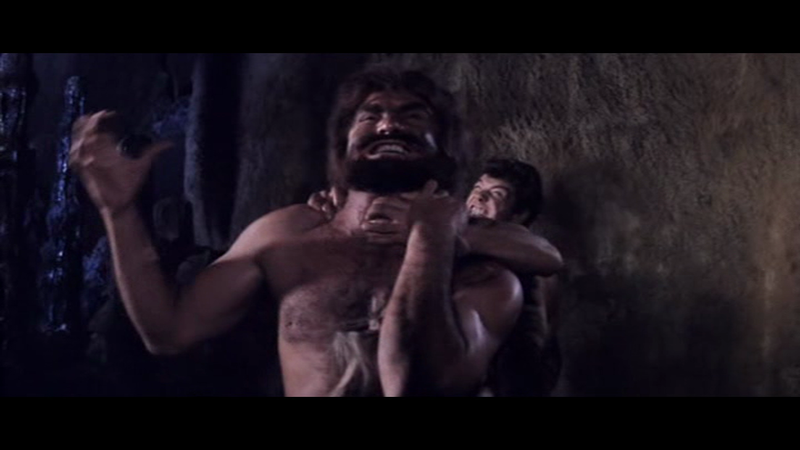 To pad this one out, we get a montage of Maciste’s greatest hits since 1960, which further develops Freda’s genius for overt, eye-popping juxtapositions, since more of the movies sampled feature different actors playing MacChesty. The original Maciste, Bartolomeo Pagano, bowed out in 1927. In 1960 the character came back in the form of Mark Forest, who relayed it to a variety of similarly-bulbous he-beings — surely there’s a parallel there with the way German cinema after the war revived characters like Mabuse from its pre-Fascist past, as if to forge a continuity that circumvented the problematic era. At any rate, I’m glad they did, and Freda, the one Italian cineaste who truly rejected neo-realism and everything it stood for, was a natural recruit to the genre.